On Friday night, the first night of the two-day Lucas Oil Late Model Dirt Series show got underway. Pittsburgh’s Pennsylvania Motor Speedway is hosting the Pittsburgher 100 paying $20,000 to the winner. Tim McCreadie is a LOLMDS regular. He currently sits 5th in the standings. However, he was not in PA for the first night of the show which featured qualifying and heat races. Instead, McCreadie was taking part in another big show. He was running a Big Block Modified at Oswego Speedway in Oswego, NY. What show? It’s the NAPA Auto Parts Super DIRT Week XLVII. A week long program that features a finale on Sunday. McCreadie finished 7th in his main event of the Triple 30 Qualifiers. 71 cars were split into three main events. That would have put him in the main event for Sunday. How did your nights go in the modified? “It was ok. We really were not as good as the last couple times we’ve went up there. I thought we were going to make it better. 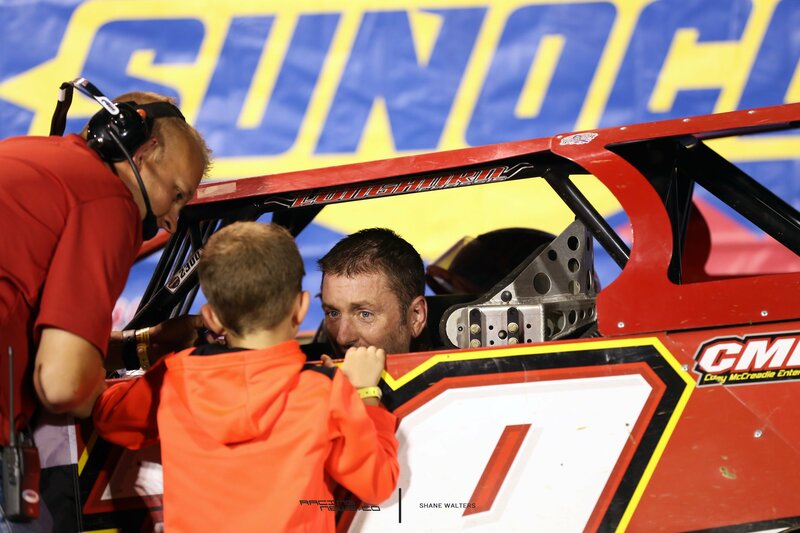 We changed a whole bunch of stuff, like suspension wise,” Tim McCreadie explained to RacingNews.co . Technical or setup wise? Which has advanced more? Or both together? “So, we’re doing all that. But, I don’t know if I’m even going to be able to run,” McCreadie said with a shrug. The final night of the show was scheduled for Sunday. Following the changes, McCreadie was looking forward to getting back. The original plan was to run the Pittsburgher 100 finale on Saturday night. Then, head back to New York on Sunday. However, there’s now a kink in that plan. The Saturday night show of the Pittsburgher 100 was postponed until Sunday afternoon due to rain. Aside from teleportation, there’s no possible way for McCreadie to run both races on Sunday. Instead, he’ll stay in Pennsylvania to race the Lucas Oil Late Model show. McCreadie will start in the B Main of the Pittsburgher 100. 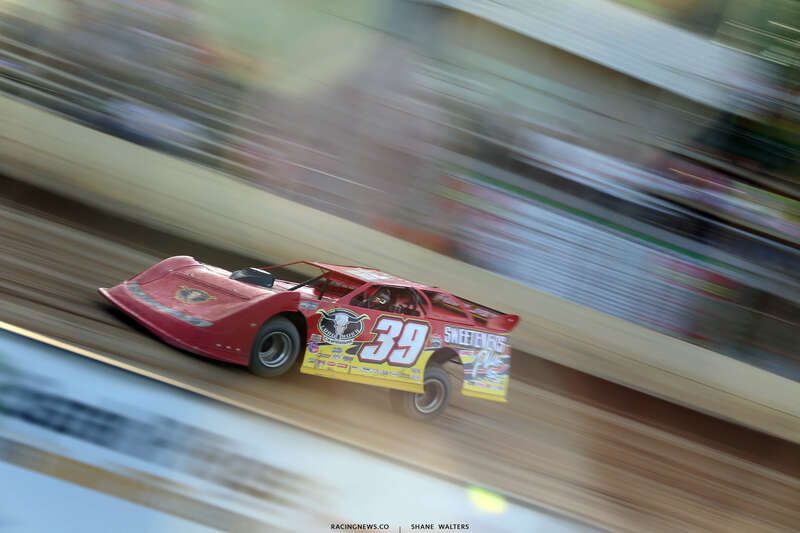 In recent months, McCreadie has been using a small 24′ trailer for his dirt late model program. I was confused as to how he would haul two cars. He cleared that up for me. He didn’t use his late model trailer to haul the modified. The late model came from North Carolina. The modified came from McCreadie’s shop in New York. However, McCreadie as the driver of both race cars still had to get from Oswego, NY to Imperial, PA. 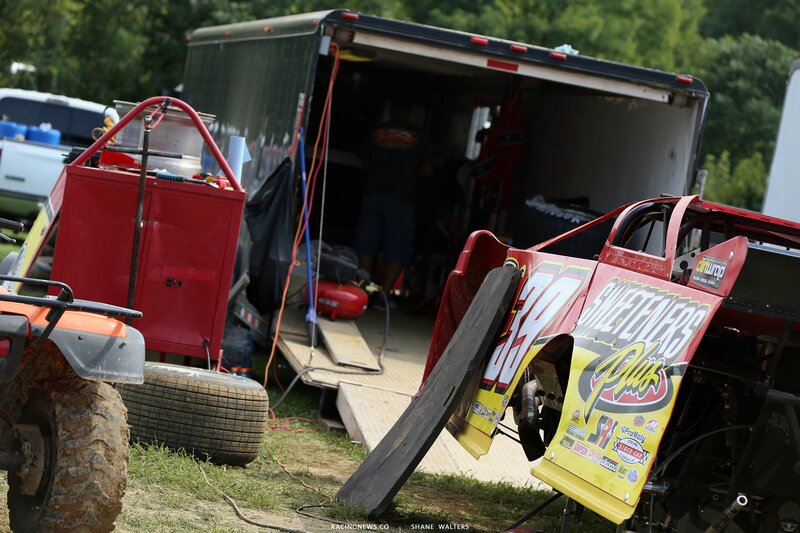 He ran the modified on Friday night in New York then was scheduled to run the late model on Saturday night. How did the logistics of that work?